In keeping with his wishes, Mr. Pickens will be cremated. A gathering of family and friends will be held at the Amos Carvelli Funeral Home, 201 Edison Street, Nutter Fort, West Virginia on Saturday, March 23, 2019 from 2:00 to 4:00 p.m. The son of the late Russell Hill and Ethel Caroline Rinehart Pickens, Stan was preceded in death by nine siblings: Arlene; Hilda; Harold; Russell; Mary Frances; Robert; Richard; Elizabeth; and Glee. Stan was the youngest and last surviving sibling. Stan is survived by his wife, Roseann; two daughters, Lisa Brady and Laura Pickens; two grandchildren, Matthew and Rebecca Brady; and great grandson, Camden Neal Brady. He loved his family, his nieces and his nephews. He was a graduate of Normantown High School and Glenville State College. Stan’s Gilmer County ties remained strong though his involvement, for many years, with the Job’s Temple Association who restored and continues to maintain the family log church (circa 1860) which is listed on the National Register of Historical Places since 1979. 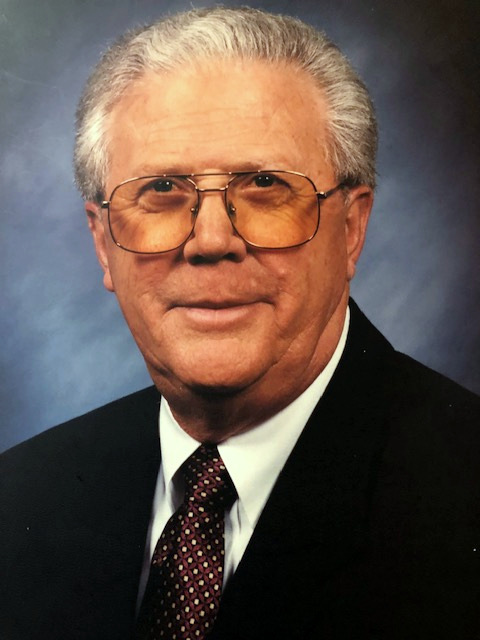 He was very proud of his longstanding affiliation with Glenville State College where he served on the Foundation Board for 15 years and later was appointed by governor, Joe Manchin, to the Glenville State College Board of Governors. An academic scholarship remains in Stan’s name and has been granted to a deserving student for the past 20 years. The Oil and Gas Industry was his true working passion, and in 1972 he founded Chesterfield Energy where he served as President and CEO for 23 years. Dominion Energy purchased Chesterfield Energy and two other local oil and gas production companies and created Dominion Appalachian Development Incorporated, “DADI.” Stan remained as CEO until his retirement. After retiring from Dominion, he and Roseann traveled the world! He was an avid golfer, fisherman, reader and always a family man. Wednesday afternoons, however, were reserved for his weekly gin game at Clarksburg Country Club with his buddies. Stan was a member of the Immaculate Conception Parish, the Knights of Columbus and a founding board member of Medbrook Children’s Charity. Giving back to the community was very important to Stan; quietly and without accolades, he remained a philanthropist throughout his life. Donations are welcome and may be sent to Medbrook Children’s Charity, P.O. Box 1021, Bridgeport, West Virginia 26330 in Stan’s memory.